March 17, 2006, Runnemede, NJ â€“ Dynamic Forces, Inc. today released images and information concerning their signed DC Comics scheduled to be in comic shops this May. DC kicks-off the event of the year â€“ 52! And we have issue #1 signed by series cover artist JG Jones -- DF 52 #1 SIGNED (MAR063195)! This comic book event has everyone talking and DFâ€™s signed copies are sure to be instant sell-outs! 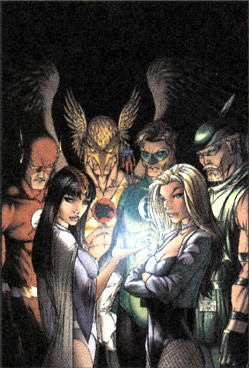 Also new in May, and offered as a DF Signed Comic, The Secret Six Return! 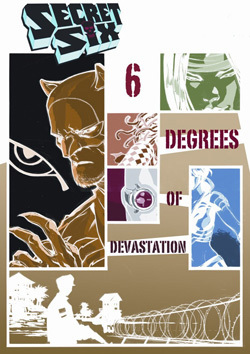 DF SECRET SIX #1 SIGNED (MAR063196) is available this month signed by artist Jimmy Palmiotti! Along with a re-offering of the RED-HOT DF INFINITE CRISIS #1 SIGNED BY PHIL JIMENEZ (MAR063189) for any fans that may have missed out the first time, DF is also offering DF INFINITE CRISIS #2 SIGNED BY PHIL JIMENEZ (MAR063188) this month. These signed comics are a must for your collection, and are also first printings! SECRET SIX #1 â€“ signed by artist Jimmy Palmiotti! From the pages of the smash-hit VILLAINS UNITED comes the 6-issue miniseries Secret Six, written by Gail Simone (BIRDS OF PREY, JLA CLASSIFIED) with art by Brad Walker (DETECTIVE COMICS) & Jimmy Palmiotti with covers by Karl Kersch! 52 #1â€“ signed by artist JG Jones! 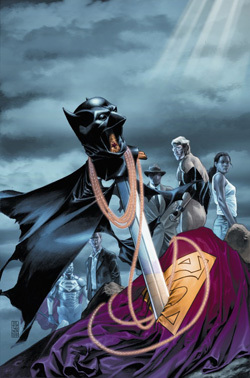 After the INFINITE CRISIS and before One Year later, the DCU spent a year without Superman, Batman and Wonder Woman. A year in which those heroes were needed more than ever as the fate of the world hung in the balance. Who stood up in their absence? And who stood down? Joined by storyteller Keith Giffen and cover artist J.G. Jones, 52 features art for the first month by Joe Bennett, Ruy Jose, and Jack Jadson. Also, starting in issue #2: The History of the DC Universe, a 10-part backup feature by Dan Jurgens and Art Thibert that takes you on a tour through the legendary past of the DCU! INFINITE CRISIS #1 -- 1ST PRINT SIGNED BY PHIL JIMENEZ. The top selling DC series of '05 shines with phenomenal art by Phil Jimenez who signs this copy of the 1st printing of the very first issue! 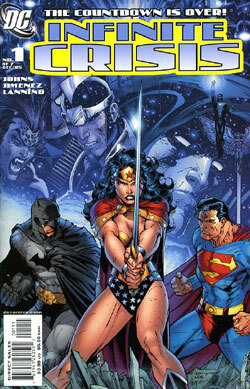 INFINITE CRISIS #2 -- 1ST PRINT SIGNED BY PHIL JIMENEZ. The top selling DC series of '05 shines with phenomenal art by Phil Jimenez who signs this copy of the 2nd printing of the very first issue!